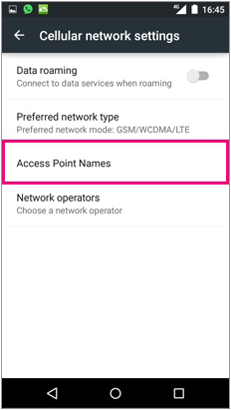 Install the APN Profile and you are ready to use the network. 1) Insert the SIM card to your device. 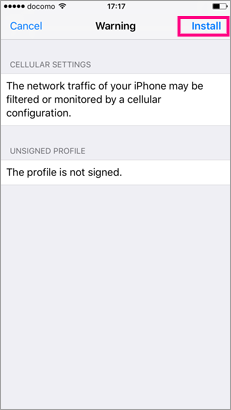 2) Connect to WiFi and download the APN profile to your iPhone or iPad. *We recommend using Safari to install the profile. 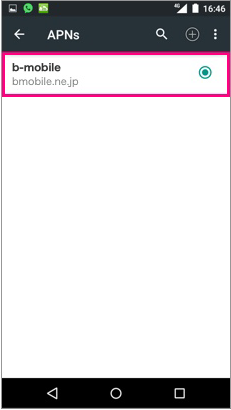 Other browsers may prevent the installation process. 3) Tap on "Install". You'll jump to a warning page, but proceed and tap on "Install" again. 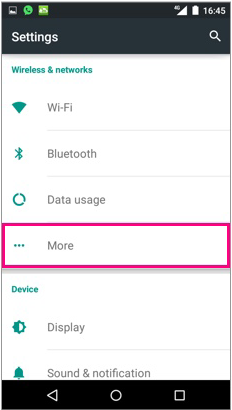 4) Tap on "Done" to complete the installation. 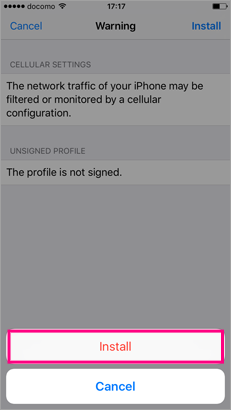 Set the APN Profile and you are ready to use the network. 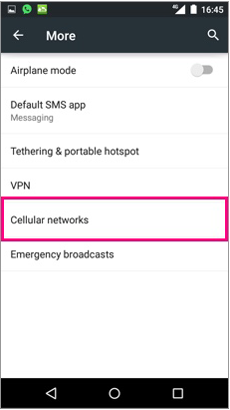 2) GO to Settings > Wireless > networks "More" > Cellular networks > Access Point Names. 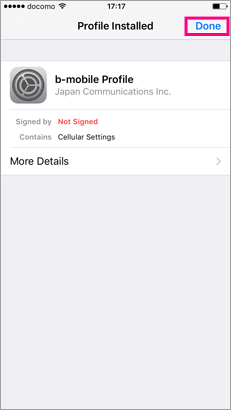 3) Tap on " + " to create new APN. Enter the information and save. Select b-mobile APN and done.